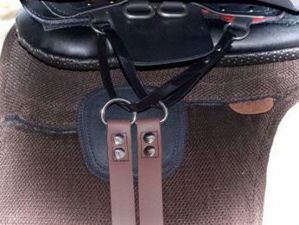 Panels for Ghost saddles - and can work for other saddles with loop-side velcro underneath. Panels for 16" seat run just over 20", for 17" seat is about 21", for 18" is a bit over 22". See more details below. Most of the Ghost saddles have interchangeable seats as long as the seat size remains the same. Classic and Cavallin lines don't transfer. 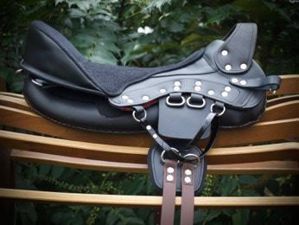 This is a great way to have an entirely different saddle for summer vs winter or show ring vs trail or a synthetic seat for rainy weather. Prices start at $340, check individual model for associated price.